If you don’t have much space in your garden or your dogs can’t resist digging up your beds, you can process your food waste into compost using the bin composting method. 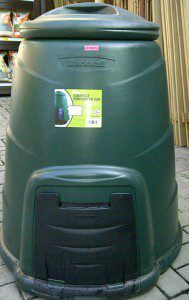 You can buy a specially manufactured compost bin from Builders Warehouse or simply use a black dustbin. Drill some holes in the base of your bin so that the worms can find the compost and cut a 3 sided flap towards the bottom of the bin so that you can scoop the compost out. Start with some soil in the bottom of the bin. Add your fermented food waste. Add garden waste including raked up leaves, grass cuttings and shredded twigs and branches. 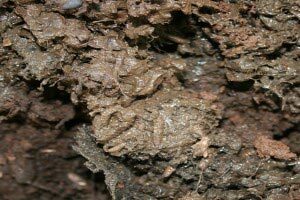 This form of composting attracts the black soldier fly larvae. These are the quickest decomposers around. They will convert a 25 litre bucket of bokashi food waste within 5 days. It is fascinating to watch and you can actually hear them munching through the food waste. 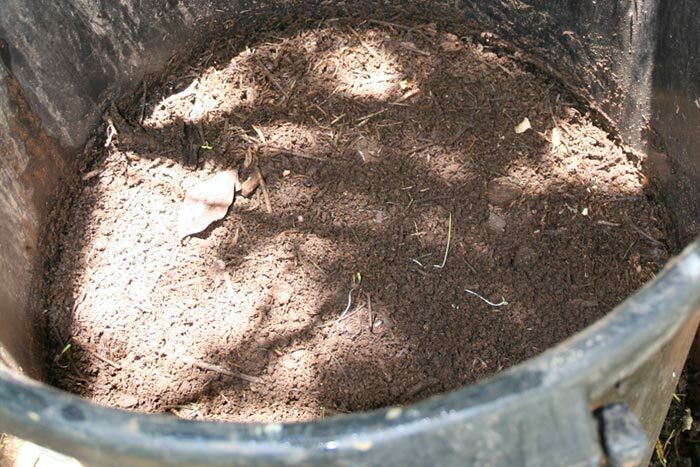 This method of composting does tend to be rather wet so adding garden waste to the bin will help dry it out. 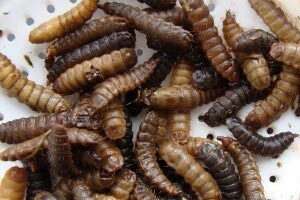 The Black Soldier Fly Larvae decomposing the bokashi food waste. The Black Soldier Fly is completely harmless to humans. They do not carry disease, cannot bite and are only beneficial with their decomposing capabilities. They will also not eat your plants or grass. Get excited if you’re lucky enough to attract them into your composting bin.Once the larvae have completed going through the food waste, scoop the very wet waste out of the bottom of your bin and mix it in to the soil in your garden. 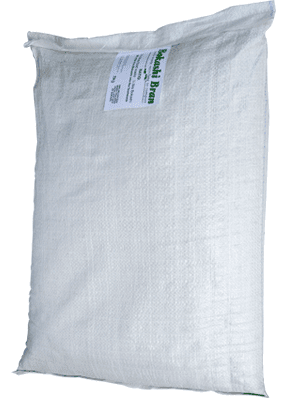 This is incredibly rich, healthy trace elements you’re adding directly into your soil. There will be a slight “organic” smell to the waste. Don’t stress, just mix it in.